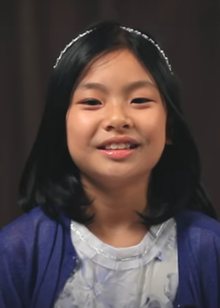 Kim Su-an (Hangul: 김수안; born January 27, 2006) is a South Korean actress. She is known for her role as Soo-an in Train to Busan (2016). ↑ Ehrlich, David (18 July 2016). "'Train To Busan' Review: This Electric Korean Zombie Movie Goes Off The Rails". IndieWire. Retrieved 2016-07-25. This page was last changed on 13 June 2018, at 16:04.